If you need affordable salon furniture that's ready in a hurry but doesn't skimp on style that is built to last, this is the cabinetry for you. The Salon Interiors Tulsa Collection combines beautiful design with all the functionality needed in today's salon industry. Many of the products featured on this page are displayed in our South Hackensack showroom. All floor models in our showroom are available for immediate purchase. 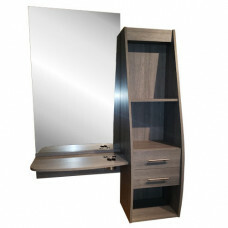 Tulsa Hair Styling Station The Tulsa styling station features a generously sized mirror two drawers .. 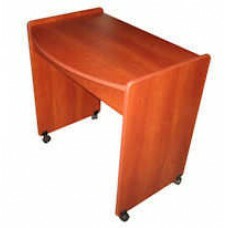 Salon Interiors Tulsa Manicure Table Salon Interiors presents the Tulsa Collection. Affordable yet h.. 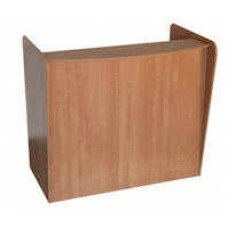 Salon Interiors Tulsa Salon Reception Desk The Tulsa reception desk is part of the Salon Interiors T.. 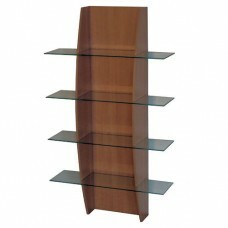 Salon Interiors Tulsa Retail Product Display Wall mounted display shelves for your salon. Four glass..